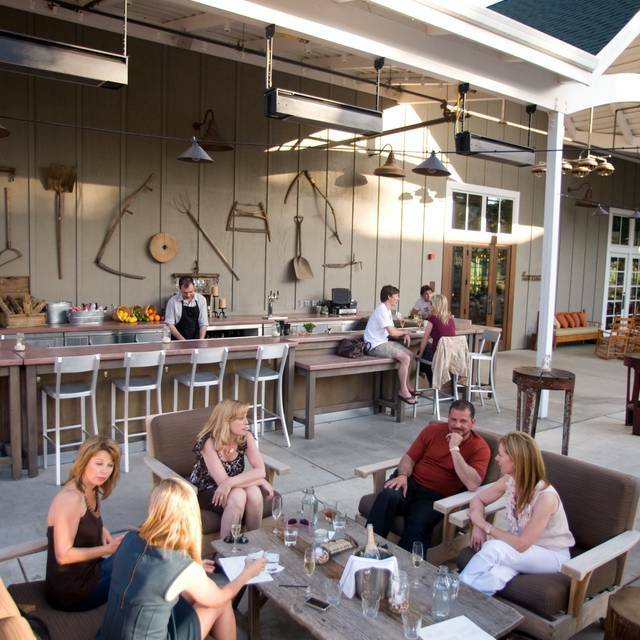 Farmstead at Long Meadow Ranch showcases the seasonal, ingredient driven American farmhouse cooking of Stephen Barber. 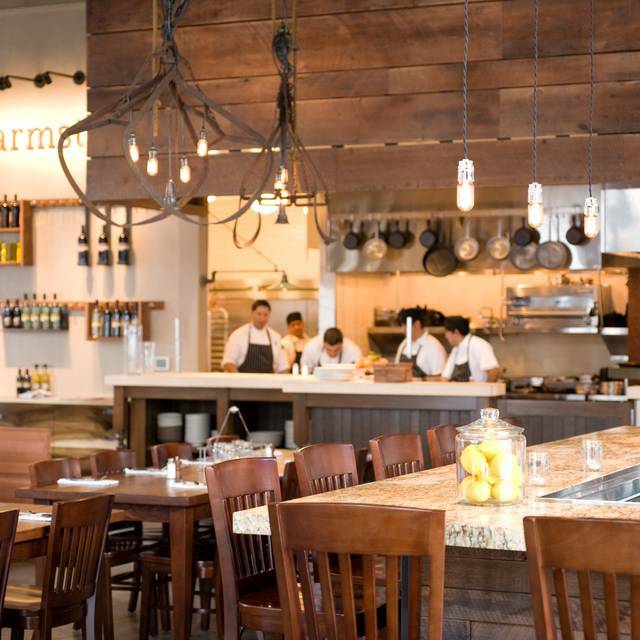 The ingredients in the Farmstead kitchen are foraged from local sources and feature Long Meadow Ranch's all natural grass-fed beef and lamb, organic and sustainably produced eggs, fruits, vegetables, extra virgin olive oil, wine, grappa and honey - as well as ingredients from local artisan producers. We offer several unique private dining spaces with a range of options for any size group. 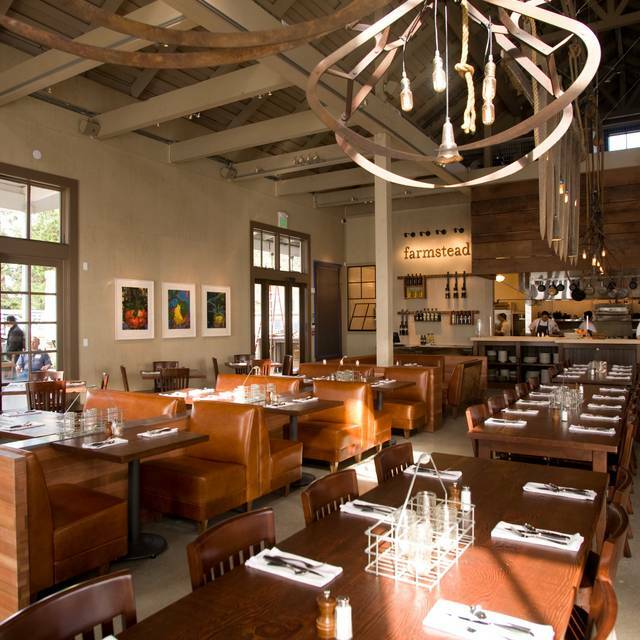 Located in beautiful and historic St. Helena, we are perfectly positioned in the heart of Napa Valley. Lunch was just extraordinary. Went back again a couple of days later with friends. Same. I attended a wedding here which was wonderful. I also ate lunch here with my mom which was good but not as spectacular. Great food with great service! Beets salad was amazing and the artichoke even better!! We love this restaurant. The ambiance is amazing and the service is great. The food is very good, though the kid options aren’t the best - they’re “fancy” kid food (kids just want a plain cheddar or American grilled cheese), which meant my littles wouldn’t eat them. It’s a wonderful restaurant, though, and we love going! We had a table of 8 with 4 children, very attentive with good service and good food. They put the table together for us at the last minute and we were very grateful. Beautiful grounds. Nice for kids to walk around. Love this place. Visit for the second time. Really tasty food and good service. Excellent food, service and ambiance. Great farm to table food! Some of the friendliest waitstaff around. Meat or veggies, they have you covered. 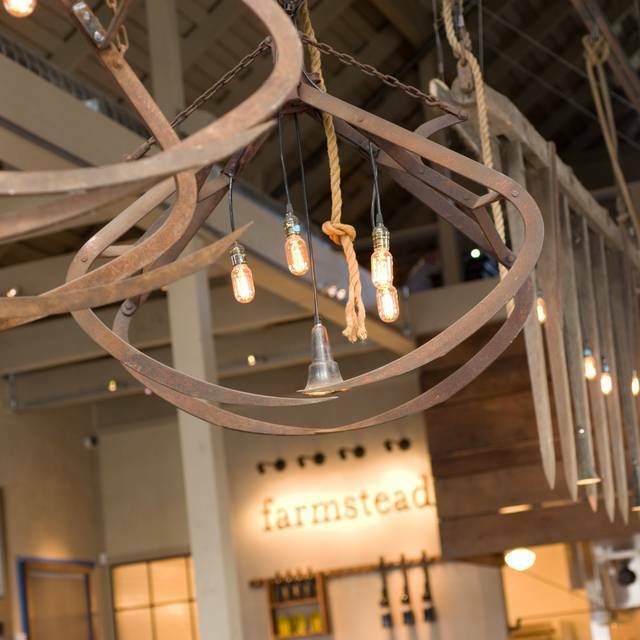 My husband and I have been to farmstead many times and it’s always excellent. This time we went on New Year’s Eve with friends and we all enjoyed the restaurant thoroughly. The staff are especially friendly even on a busy evening like New Year’s eve. Every course was perfect! Everything tasted and looked good. Highly recommend! 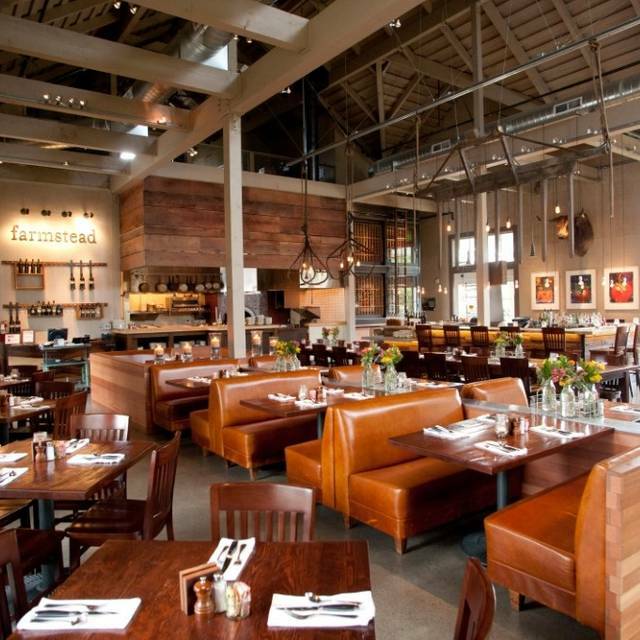 Had a great meal at Farmstead. Strongly recommend the biscuits, and all of the mains. Excellent wine and atmosphere. The food is really good and the ambiance and outdoor seating are wonderful. Overall highly recommended. One of the best parts of our dining experience was our waiter Ernie! He was knowledgeable, friendly and efficient! Did the wine tasting first on the property and it was enjoyable. Joined the wine club since it made sense since were going to buy some wine. (Tastings would have been about $70 for two). Dinner was great, especially the waitress who connected with our 4 and 6 year old daughters. We loved the warm burrata and grilled artichoke. The cheddar biscuits were good too. The sole was delicate and delicious and the ribs were also really good. Will be heading back (and not just to pick up a wine shipment). Arrived in time for 7:44 reservation and was told they were running behind maybe up to an hour...not happy...but we were treated to small glass of wine (at our request) which was sweet and seated only 10 minutes late. Really nice ambiance; enjoyed our booth; not too noisy so able to converse comfortably. Service excellent. Pork chop particularly great. Fish dishes nice. Special night out but expensive w/o even getting drinks, appetizers or dessert. Pleasant for a splurge. Wonderful lunch. I had the trout which was delicious. Love their policy of wine corkage. $5 and each month they choose a charity to donate it to, the restaurant keeps nothing! What a wonderful gesture! Love this restaurant. We eat here at least twice a week. Great food and service. Always very busy and lively but the service is the best. You can not go wrong here. Make sure you visit the store and also do a wine tasting. There wine is very good and well priced. 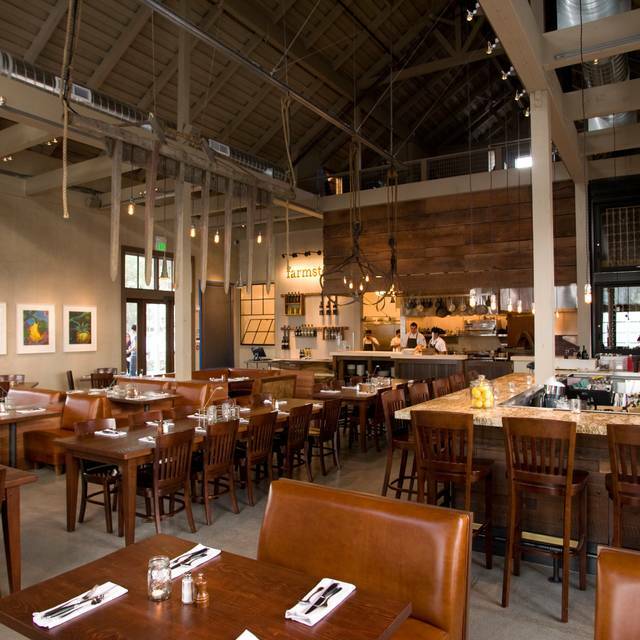 My husband and I had lunch at Farmstead for the first time during a recent visit to Napa. The Long Meadow Ranch Chardonnay was delicious (crisp, not buttery on the finish) and paired well with the 12-hour pulled pork sandwich and garden greens salad with avocado and grilled chicken. The service was welcoming and spot on. A little pricy for lunch, but not unexpected given we were in Napa! 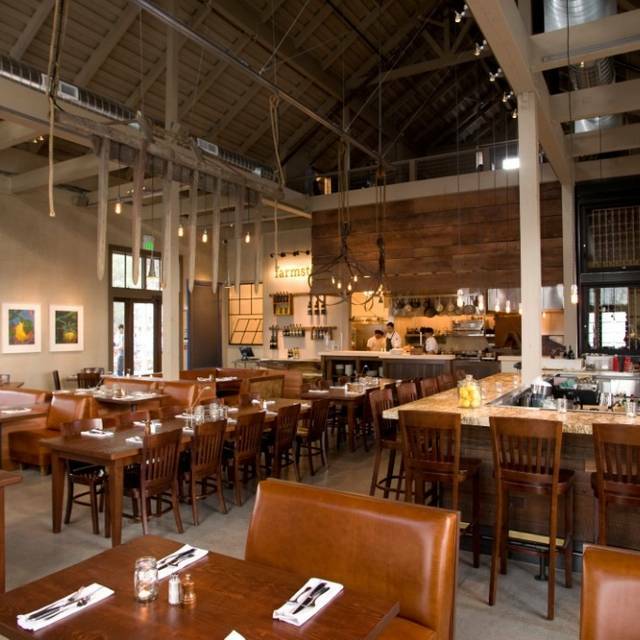 We always book a table at Farmstead when in the area. Always a solid choice, as everything is consistently delicious. The only down side is they really don't change the menu all that much (except for seasonal vegetables), but we're happy to keep ordering that amazing Burrata! We enjoyed wine at the bar in the tasting room then moved over to the restaurant for dinner. Fun and lively atmosphere in tasting room. The waiter in the restaurant allowed us to take our time and was not pressuring us to order, eat and move along. We had a great time! Thank you! Food came out cold, although restaurant was busy. It’s still no excuse. Never got proper utensils for chili. Kitchen needs more staff to make sure food is coming out on time and hot. Atmosphere is the best part of this restaurant. Say outdoors on a beautiful day. Absolutely stunning. Biscuits and the special terrine to start. Kale salad and burger. Perfect lunch date with my love! Fantastic food and atmosphere. Upper end on prices. Food was mediocre at best. Service was okay but ambience is noisy. We will not return. Thank you for your review on your recent visit to Farmstead at Long Meadow Ranch. We are sorry to learn that your dining experience was not up to the high standard that we hold ourselves to. Our goal is to exceed our guests expectations with every visit, and we know that we can do better. We love everything. I super appreciate the waiter for being on it with my dairy/ gluten allergies. Excellent all the way around! Did not dissapoint. The restaurant came very highly recommended so our expectations were accordingly. Unfortunately it was dark and raining so I cannot speak for the outside ambience. The inside is very nice, but the noise level was higher than expected as even our waitress had a hard time hearing us at times... The food was good, but not extraordinary. We had starters and it still took an hour (from the time we sat down) to get the main course. We had a mixed variety of dishes - all good, but none of them outstanding. Service was fine, but provided more out of obligation than dedication. If you are in the area it's a nice spot to visit but I wouldn't recommend going out of your way. We will not be making the hour drive again anytime soon. Thank you Judy for your review on your recent visit to Farmstead at Long Meadow Ranch. We are sorry to learn that your dining experience was not up to the high standard that we hold ourselves to. Our goal is to exceed our guests expectations with every visit, and we know that we can do better. Some great menu items here. Had an great dinner experience here recently, so thought to stop in for lunch. Food was good though the service was lackluster. Our server was efficient but lacking in engagement - sometimes you feel hosted and sometimes you feel that it’s obligatory - this was the latter. Still a super place to eat with fresh ingredients, would recommend dinner over lunch. 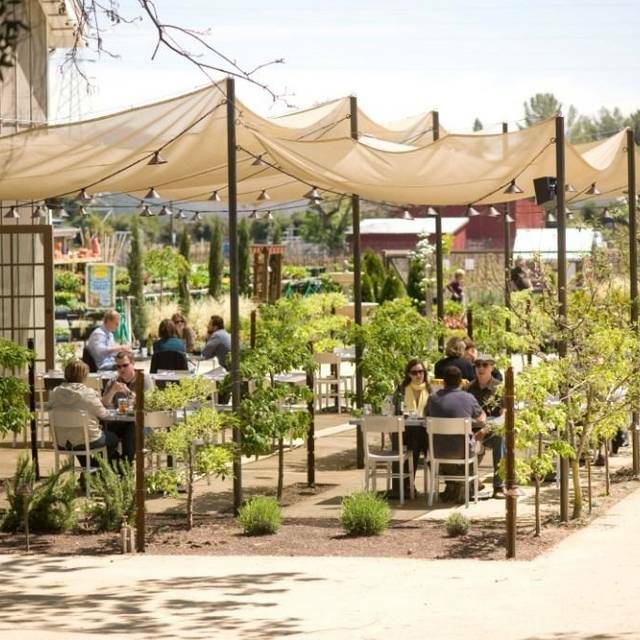 Beautiful restaurant with an excellent, real, farm to table menu. Really delicious food and very attentive service would definitely return. If you're in the Valley and love Crab, try the crab Special this month. You won't regret it and you'll be glad you did. It was by far, the best Crab I've ever had, especially that Chili Butter....Yummy!!! We were treated very, very well overall, but because it was my husband’s birthday, the service was extra special. Thank you! What a lovely dining experience. It is such a cozy restaurant. Our service was outstanding. I really enjoyed dining here...and enjoying my leftovers the next day. Cheers! 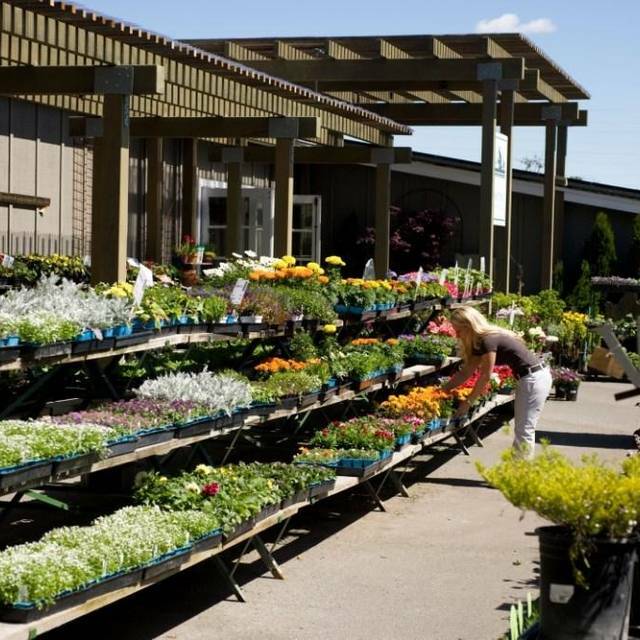 Returning to Farmstead is our favorite place in N. Ca. Always fresh ingredients all prepared to perfection from salad to dessert . Donning inside or outside makes this worth all expectations and traveling to the area for any occasion. Five of us had a great time. Great service, hearty food, amazing sole, get the Petrale sole!